So, the last week was dominated by the illness and ultimate loss of my Darling Dog. Many thanks to those who have offered words to support, sympathy, and love. It helps. A lot. 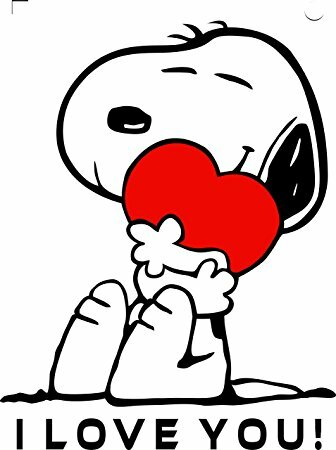 But amid the emotional tumult of DDog's passing, Valentine's Day happened last week, too. Now, neither Drummer Boy nor I are romantic people in the sense of grand gestures and lavish gifts. The most precious thing we can spend on each other is time, because we just don't get very much together. We work full-time on different schedules, I've got a Precocious Daughter to wrangle, he's got his music...and when I can manage it, I have my writing. For the most part, we have one weekday lunch and one Sunday afternoon/evening together per week. That's it. The rest of the time it's sending each other goofy emojis on Facebook Chat and waiting for our next window of togetherness. I'm particularly fond of Snoopy stickers. Anyway, I was not expecting to see Drummer Boy on Valentine's Day. It fell on a Tuesday, which is not typically a day he's available for lunch. And since he frequently works evenings, I assumed last Tuesday would be one of them. You guys, I got to see Drummer Boy on Valentine's Day. We spent the evening together, mostly watching TV and helping PDaughter with her homework. Romantic AF, right? 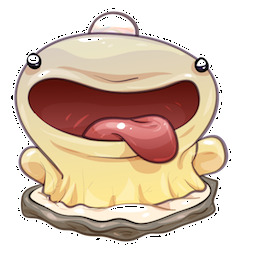 Remember, I find this adorable. But it was wonderful. He didn't get me candy (which I don't eat) or flowers (which...well, I love flowers but I wasn't expecting them). I didn't get him anything. But we had time, which was the bestest thing of all. Oh, he didn't come entirely empty-handed. He brought me this. 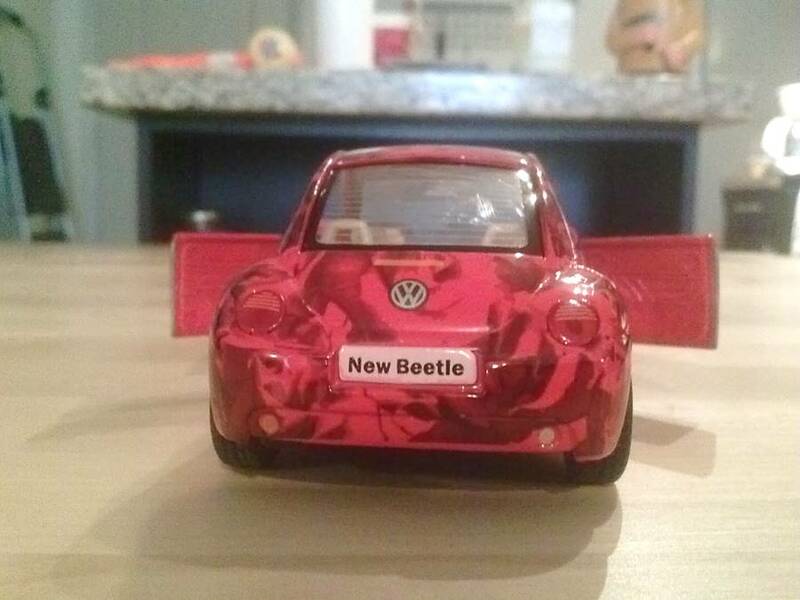 This is a 1/32 scale die cast model of a New Beetle. Not a New New Beetle, which is available now, but a New Beetle, which is what I drove for almost 10 years. 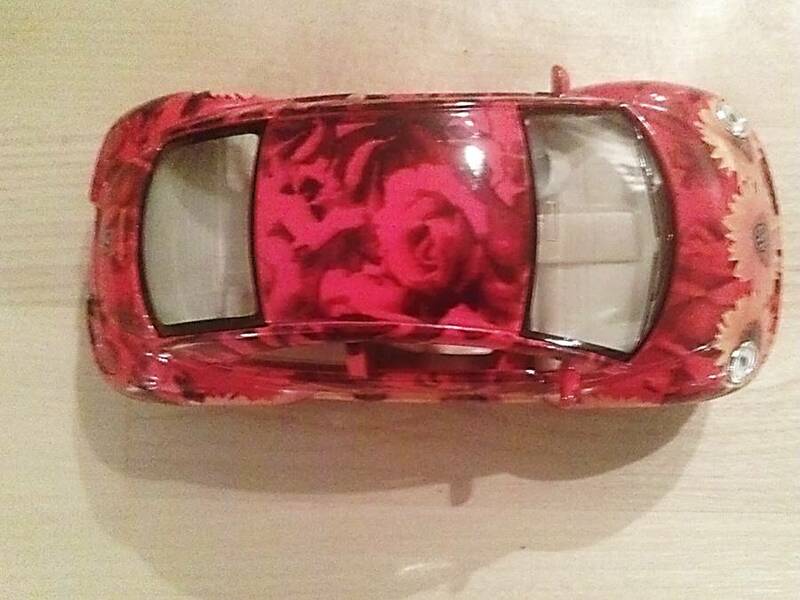 Is it painted with roses and sunflowers? Why yes, it is. the pretty roses on the roof. And it has something Tic Tic didn't have: Pretty happy eyes. to replace when they burned out. 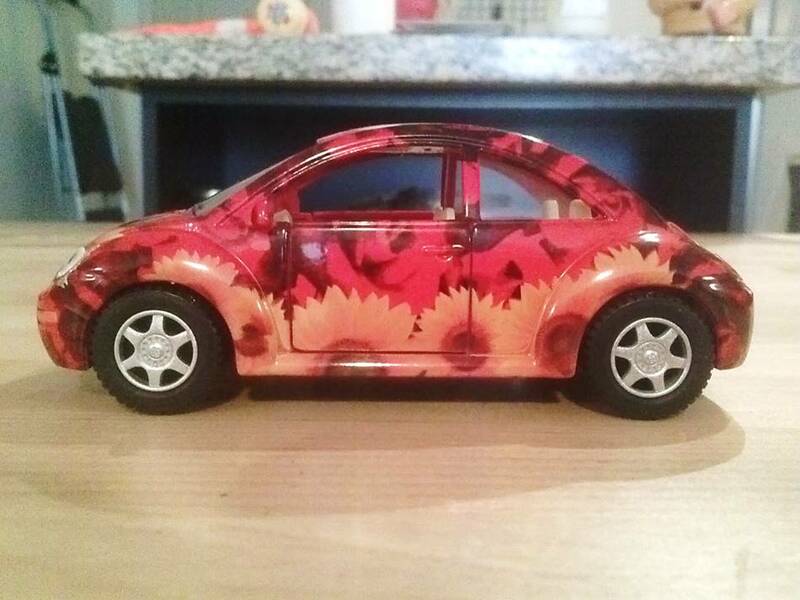 Guys, in addition to being the sweetest gift ever, this little model Bug is remarkably detailed. I'm impressed by the accuracy. I'm going to go into New Beetle Geek Mode for a bit. 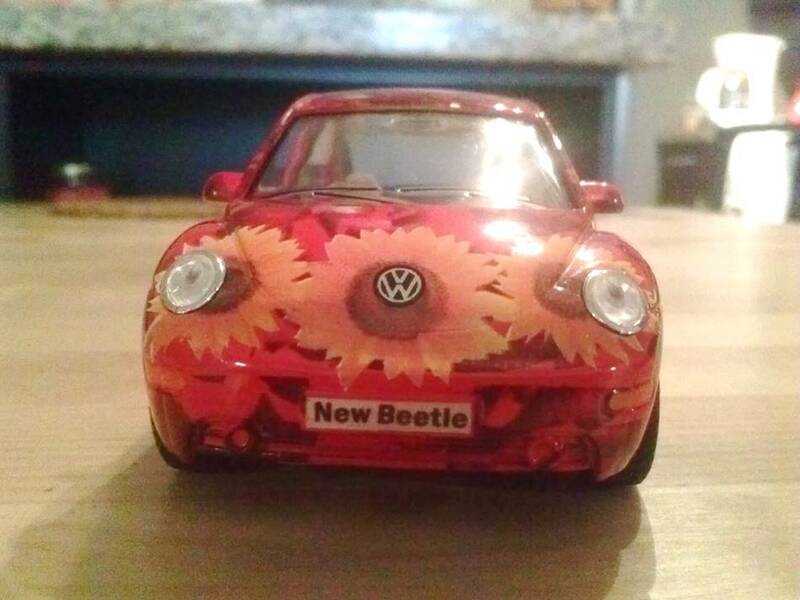 First, this is a post-2002 model New Beetle. You can tell by the headrests. My 2002 Bug, a limited-edition model in Luna Green, was the first to feature solid headrests rather than "donut-style" ones. You can also tell because the tail lights are horizontally divided, rather than the "eyeball" style that came in around 2006. I said geek, I meant geek. Also, it has a realistic dashboard, true-to-life door panels, and even the ever-annoying cupholders that didn't hold anything larger than a 12 oz. can of soda. From parking brake to hubcaps, this is an accurate tiny version of the Bug I love and remember. But this isn't about arcane Bug-geek trivia. It's about the fact that Drummer Boy didn't get me flowers, candy, or jewelry for Valentine's Day. Instead he got me something he knew I would love and appreciate. It wasn't expensive. I can't wear it on my wrist or finger or earlobes. And probably a majority of people - men and women - don't consider a model Volkswagen Beetle a particularly romantic gift. Except it is. It's the most thoughtful, loving gift my Drummer Boy could have given me. Because it shows he knows me and understands me. And that means more than any stupid expensive gift. I love you, Drummer Boy. That is, quite possibly, one of the most romantic gifts I could imagine and I'm not just saying that because Disney turned the Volkswagen Beetle into The Love Bug. He went for something deeply personal. 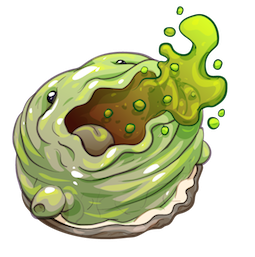 And I think I'm in love...with Sinister Oyster.